I’m lucky enough to have been free of “The Mondays” for the past few years, since I work on the weekends. Monday is my day off, and it’s a rare opportunity to break free of my all-black work wardrobe and have fun with prints and color. I’ve been lusting after Madewell (and its mama-brand, J.Crew) for years, but rarely can I justify the expense. So it was a total blessing that my work got in a huge shipment of Madewell goods, which heavily features horizontal stripes (my pattern spirit animal). 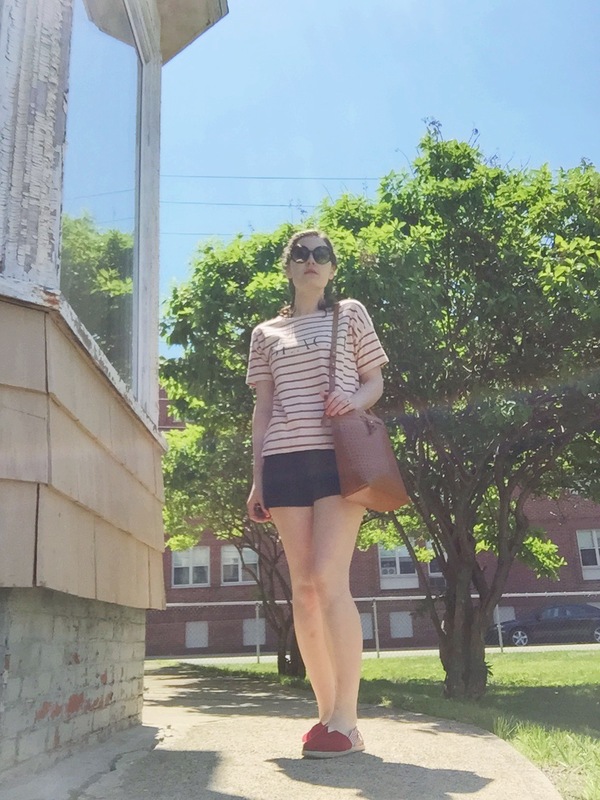 This “BEACH” striped top fortuitously matches my red Toms and navy shorts for a nautical-gone-casual vibe. 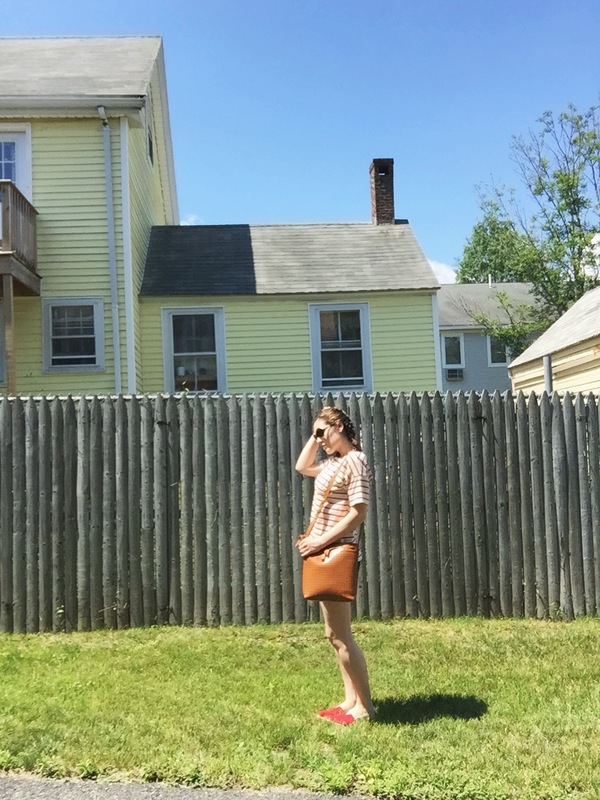 Also featured is my Kelsi Dagger BK perforated leather bucket bag–an early birthday gift from my sweet mom. I wish I could say I were using this day off to go to the beach and enjoy the blissful sun. Unfortunately for me, I have to research literary criticism for my poetry seminar tonight. Only 1 more week until school’s out!